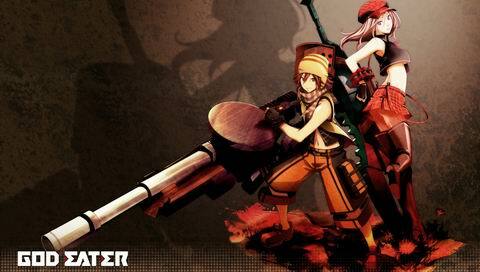 Through the help of an english patch, I am able to play this campaign style game called God Eater. 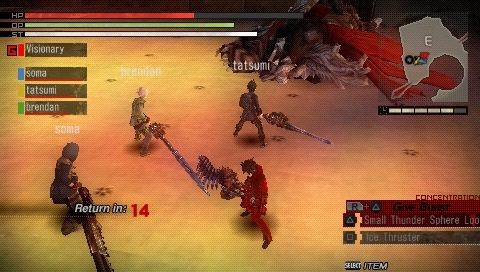 It is similar to Monster Hunter (MH) in many ways but is more focused on the actual ‘hunting’ rather than multiple mini game facets which MH has (the primary reason why I stopped playing MH is because of those). Beginning as a trainee weilder of a God Machine / Jinki, you build up your arsenal by collecting parts of monsters and various items that can be found from within the ravaged areas outside of the stronghold. The Jinki is basically a sword, a gun, and a shield altogether. Each of the ‘weapon states’ are subclassified into three categories of their own which basically is a differentiation between speed and power. 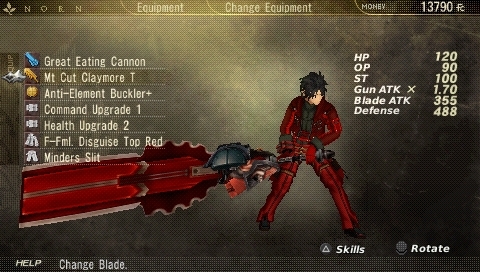 The guns (sniper, assault, cannon), swords (knife, long sword, buster sword), and shields (buckler, shield, tower shield) all have different attributes which further complicates the selection. There are four elemental types (fire, ice, thunder, god), three attack types (cut, blow, pierce), and a plethora of abilities to consider. You can be accompanied by up to three more Jinki weilders (AI/Multiplayer) and even they have particularities between them. This is the type of game where the character doesn’t really level up, its the player who does because in order to get through most of the challenges, you will eventually need to master the controls and how to maneuver your character for proper timing and evasion and more often than not… be very lucky. Your pouch can only hold so much healing items and the encounter can only last for 30 minutes or else you would’ve failed the quest. What really takes up the time is having to farm the materials and raise the cash to create or upgrade the weapons. Not one of them is completely effective against multiple Aragami (Monster) types so a lot of experimentation goes along the way. Im currently at just 35% of the game and I have been playing it for more than 70 hours already. I’m very confident that I’ll get to finish this game eventually as well, but its staying on my device as one of those games that never really ends. Although right now I’m probably somewhere in the middle of 6 of 10 Ranks. I do hope to finish this before Dissidia 012: Duodecim comes out, I can only imagine another 150 hours or so to be spent on it. 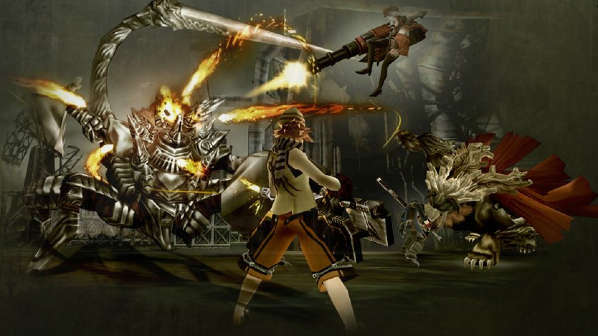 God Eater Burst the english edition will come out later this year, and knowing that the save file will probably not migrate to that one makes me think about playing this current one all too seriously. Overall this is a great game, exciting, unpredictable (at first), frustrating (most of the time) and you wouldn’t feel like you actually wasted time on it.